Our Location - Verdant Dental: The Friendliest Dentists at 1/1 326 Keilor Road Niddrie 3042! 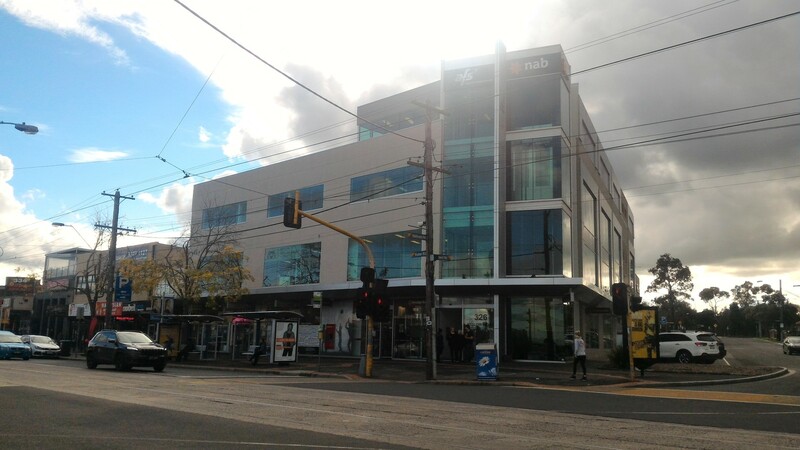 We are directly opposite the 7-11 - Enter the glass door on the corner (to the right of the Bendigo Bank) and go up one floor (stairs or elevator). We are the first suite on Level 1. For a video showing you how easy it is to find Verdant Dental at the corner of Keilor Road and Hoffman's Road - click below! Free public street parking is available on all surrounding streets – most spots are for two hours. There are some all-day street carparks located in the streets off Keilor Road. The nearest tram stop is Stop 52 on Tram Line 59. From Melbourne CBD, take a Craigieburn line train to Essendon Station, then Tram 59 to Stop 52.